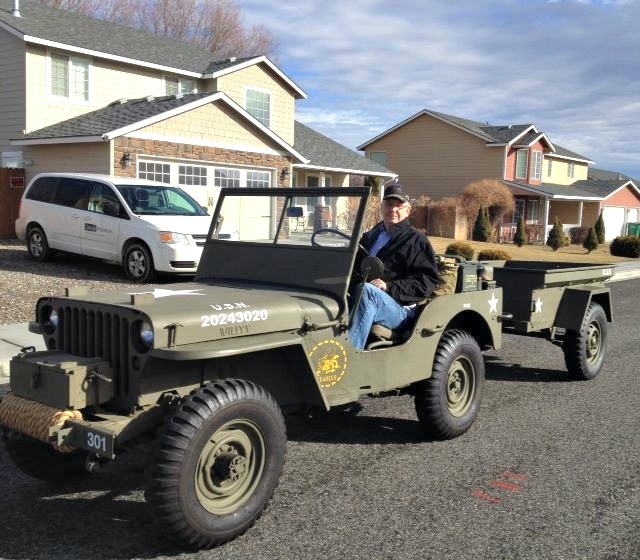 On my way home one day, I passed a guy driving a 1/4 ton Military Jeep on Clearwater Avenue in Kennewick, WA. It was very much like the one I drove in Vietnam 44 years ago. I was curious where he got it. I met the driver of that jeep (Art Moore) at a Veterans group meeting shortly after. 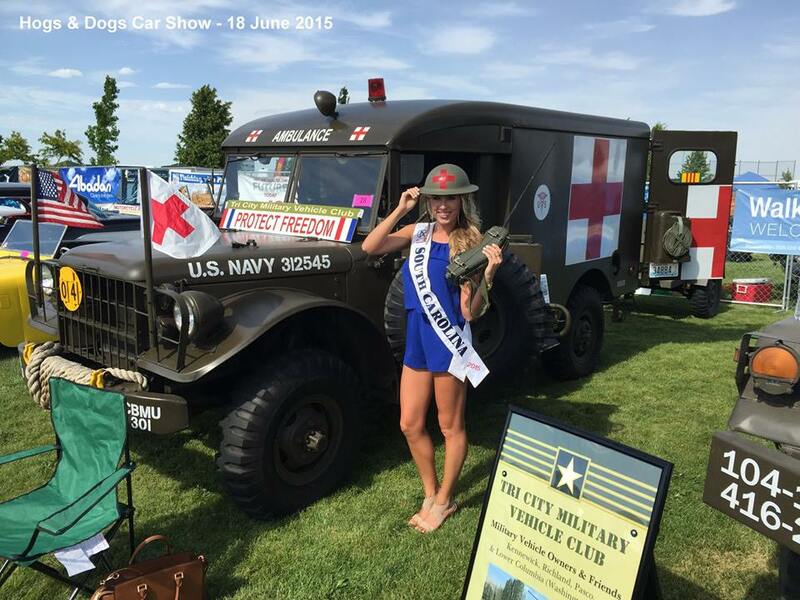 He is one of the founders of Tri-City Military Vehicle Club. He is involved in the Tri City Military Vehicle Club with his 3 military vehicles he takes to shows, parades and military events. 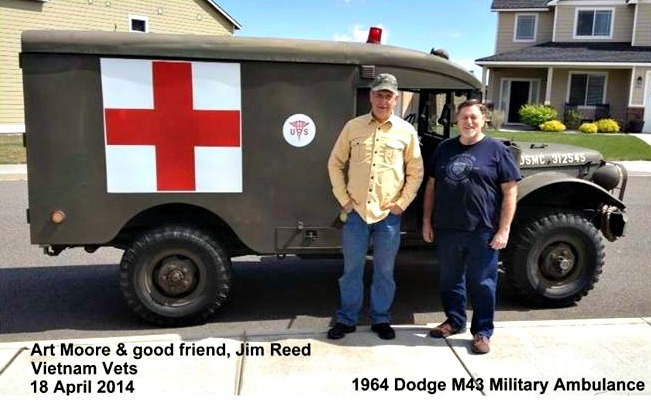 He owns a 1951 M37 Jeep (Korean War), a 1946 (one year post WWII) Willy’s Jeep, and a 1964 Dodge M43 Military Ambulance. The TCMVC is a loosely organized club with no elected officers, no dues, just events for military vehicle owners to participate in. 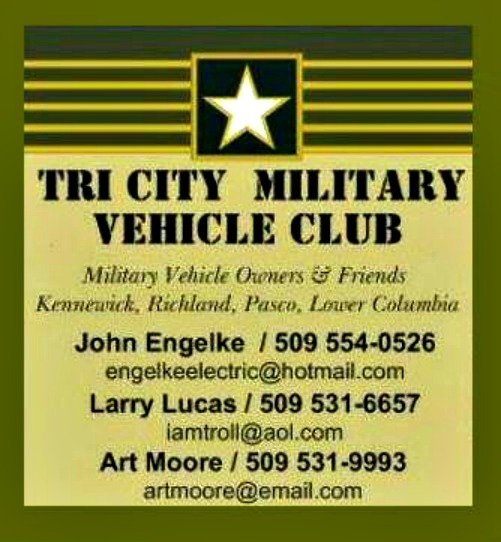 The club welcomes all Military Vehicle owners & friends in the Tri City (Kennewick, Richland, Pasco) and Lower Columbia Basin of Washington State! Art Moore was a Builder 2nd Class in the US Navy “Seabees” during the Vietnam War. He completed “A School” at Port Hueneme, CA in 1966 and worked his one year first duty station as a part of Public Works, US Naval Air Station, Kodiak, Alaska. He served with CBMU 301 (Mobile Construction Battalian) for one year (Apr 1968-April 1969) in the I Corps, Vietnam. There he led a crew of builders up and down the north rivers and into jungle LZ’s building everything from out-houses to bank vaults. Dong Ha, Qiang Tri, CUA Viet, LZ Betty, LZ Nancy, Rock Pile and more were some of the assignments. Art’s final duty station was Public Works at the Philadelphia Naval Shipyard where he was honorably discharged to the US Navy Reserve in October 1969.